← Conjuring and Capturing Feelings – Inspiration in Ruins. What sort of writer are you – explorer or planner? 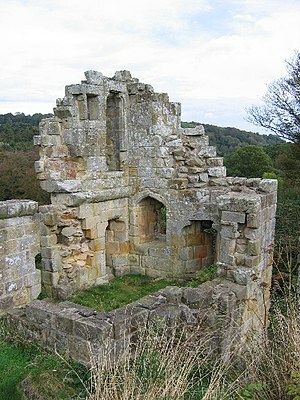 At the moment, I am on a major re-write of my supernatural, Victorian novel, “Mulgrave Castle”. I am having days where I am conjuring up the atmosphere I need to re-create the book in my head and I feel truly satisfied. However, I am also having days when I will do anything before getting started and then find that I have wasted my writing time. I am beginning to wonder if this is to do with the type of writer I am. As I see it, there are basically two types of writers. (Of course, many will be a mixture of the two.) There is the explorer who has maybe a very basic plot and outline ideas for characters and then lets the whole work evolve as she/he writes. There is also the planner who has virtually everything worked out either on paper or in their head before they start to write. As I work, I have another file open which is called “Mulgrave Castle Leftovers”, this is basically the cutting room floor. Being an explorer means that I have scene after scene which is cut because there might only be one relevant sentence in it – however writing these scenes are not a waste of time as they give me an intimate insight into characters and setting. When we first begin to write, we find it difficult to cut, it is almost as if someone is threatening to cut parts of our person off. The longer we work at our craft, the more we can see what doesn’t work or what simply is clogging the arteries of the story up. I call it “boning the text” – basically, I am cutting it down to the bone. To demonstrate the severity of it, I am on page 63 of my most recent re-write and the “Mulgrave Castle Leftovers” file has 10,000 words in it already. Goodness knows how many words will be in it by the time I get to the end. So, I’ve shared with you – now do tell, how do you write? It’s lovely to meet you and thank you so much for the comments. I am going to be really interested in how you go on trying from “The Planner” point of view. I am glad that you are going to post on it as these shared experiences really help us know that we are not alone. I’m a “modified explorer.” I know my basic plot points, such as the inciting incident and the climax (which usually changes a bit), but I don’t know much else. I actually tried planning my second novel, and it was a disaster. By the time I reached the last half, my characters had developed differently than I had expected, and I had to rewrite when I realized the outline wasn’t working for me anymore…. That being said, I have found that planning a bit of a skeleton outline helps as long as I don’t force myself to stick to it. Thank you for sharing as it really does help. I found deep planning very difficult as it seems to take a lot of the excitement away. I also have found that characters develop differently than I expected – it’s good to know that I am not alone in this. Yes, I think you have something about character fueled stories because even though I have to get the plot right, it is more important to me that my characters develop through their experiences. I am certainly glad that there are a lot of explorer writers out there. I have sat at literary festivals and cringed when the writers on the stage have said that they do one draft only – I have jumped from disbelief to thinking that I am strange because it takes me so long to get where I want to be with a book. I used to write a lot of fanfic, and I worked very much as an explorer. I rarely knew how a story would end when I started it. And I usually couldn’t resist posting the first chapters and getting feedback before I was done. Some stories changed radically as they developed, and a lot of that was due to the reactions I got. One thing I’ve found out is that there isn’t a fixed ideas pool – the more ideas I had, the more I seemed to go on having. They seemed to take on a life of their own. And most writers seem to agree that the cut stuff is never wasted – it either helps you get where you want to be in the end, or you use it somewhere else along the line. Or both. So I wouldn’t worry too much about that. And I think that if you’ve made the commitment to write a long piece, it’s almost always better to write something regularly than to wait for inspiration to strike. Show up at the page, that’s rule number one. Hello Ruth, it’s lovely to hear from you. I like that – show up at the page – it’s true. Are you still writing fiction? If so, are you still an explorer because you said that it was a while ago? I’m just wondering if you have changed at all. You have done a lot of academic writing recently – do you find it a pain to mix the two? In the past, when I have had to write academic essays and fiction side by side, I find it harder to knuckle down than if I am writing all essays or all fiction. What a fantastic post. It speaks to the very place I find myself in the opening pages of the first draft of my first novel (I just slipped over 20,000 words yesterday). And many thanks for sharing a link to my blog. I thought I had to be a Planner. My story is hybrid paranormal contemporary & historical fiction. Because of the historical aspect, there are some obvious signposts to follow – dates/places/characters within context. There is an inciting historical incident as a start and another as the climax, but in between I am free to create my own world. I am working with Scrivener, which I love. It gives me visual structure, a place to begin. I hate clutter – by nature I am a Planner. I need things organized or I lose focus. With Scrivener, the chaos of my words is neatly formatted into scenes and scenes into chapters. I can easily move them around, copy and paste, grab an idea here and plunk it down over there. I couldn’t agree more with mefinx. Showing up at the page, every day, is far more important to me than following an outline, which I kind of, sort of have, but it evolves at every session. So, I believe I am writing about 75 percent as an Explorer, 20 percent as a Planner and 5 percent Someone Talk Me Off The Ledge. I am not writing scenes in order, although I am keeping to Part One (of three, I believe); I write scenes according to mood and energy level. Some days I feel like research and I work on a scene heavy with period detail. Other days my characters call out for a little TLC and I write dialogue & interactions. I remind myself that this, my first draft, is about letting it all pour forth – the crap and the beauty. Sorting it all out is for the future. I work very hard to not edit at this stage and I am getting better about letting go and WRITING. I love discovering the Explorer in me. Magical things happen when I simply let go and write. New characters walk in, plot holes gapes – and that’s okay because the story improves as I seek to resolve them. I’ve accepted that I can create and mold history as long as the details are credible, the situation plausible within the context of facts as we know them. My Planner will come out when it’s time to revise. For now, I will keep on truckin’, er, Explorin’! Your book sound fabulous – I love the way in which you are embracing your explorer side but know when it comes to it your planner side will take over. I am really looking forward to reading your future posts and finding out what happens. I’m afraid it’s time to cringe, Michelle, because I’m one of those with one draft only, I’m sorry to say. I tried all that planning stuff in the past and found it only useful when I wanted to insert historical facts into my plot but otherwise rather hampering my output and actually destroying enjoyment of writing. I now have a book’s entire plot ready in my head and don’t sit down to write until I am certain of the beginning, middle and end. The rest is just filling in the gaps and having fun with a few minor sub plots (the explorer bit). As I write professionally every day – non-fiction – I’m trained to stick to an exact word count. This helps me in my fictional writing in that I aim to over-write by no more than one third at each writing session and then prune back to get to the essence of what a character wants to say or a storyline should express. So a daily output of around 3,500 to 4,000 words would be cut by 30% straight after I’ve written it. I don’t go over the day after what I’ve written the day before and I always end on a cliffhanger, so I’m eager “to find out” what my characters are up to the next day, just like the reader would be (hopefully). I spend the greater part of planning in my head on character and location, rather than plot development, by the way. And I wholeheartedly agree: showing up at the page is the most important part! Your just a genius who makes folks drop their greengages. It’s all your fault with your saucy dragon and story. Just like you, I’d love to be a planner. Having a structure and a plot and a plan would then let me do the bit I love most and just write. But the story didn’t want to go that way, It wanted to meander and find its own way. It wanted to be experimented with. So the first draft happened and then several brutal, heart-rending re-edits. Chopping out whole chunks that seemed so apposite and vital in the first run. It was like throwing babies out of a window. But it had to happen. And you know what? I actually think the end result is the better for it. Sorry, I’ve only just seen this comment. I have found the same thing happening to me when I plan before I write – the story just doesn’t like it. I also have had to do brutal re-edits. I too would love to plan the next one – I wonder what will happen for both of us. First of all thank you so much for following Paper, Mud and Me. I will be doing the same with you. From your analysis of it, I am definitely an explorer. You’re welcome, I am looking forward to receiving your new posts, thanks for the follow back and the re-blog; it is really appreciated. I think being an explorer is definitely the exciting option, are you an explorer by choice or are you like me and that is simply how you have to write? Reblogged this on Paper, Mud & Me. Trust you to make me laugh! So you’re a sort of letting it all hang out type of person who wears a corset for special occasions? I love it. Is anyone a true “planner”…? Interesting question indeed! I think that if we truly analyse the concept of being either an explorer or a planner, we have to accept that if we are explorers, when we come to final drafts etc then we have to become planners for a while to make sure that the plot flows without inconsistencies etc.. If we are mainly planners, well we have to be sort of explorers to conjure up the characters and plot etc.. in the first place. So really we always have to have some of both but most writers seem to have a predominate sense of being either a planner or an explorer. I think that I’m a wanderer! I keep wandering back and forth between being an explorer and being a planner. Maybe that means I’m a waffler? That’s interesting – do you find that you change over when you have come to a difficult part in your writing? Yes, I think I change over because I’ll get stuck. I’m not sure it has anything to do with a particular point in the writing. It’s more that I run out of steam after a certain amount of time, and need to shift gears. I do the same thing with location. Every 2-3 hours, I need to shift location to keep going, from home to a coffee shop, or vice versa. It’s inconvenient and I wish it were different, but I’ve learned not to waste energy wishing it were different, and just to go with the flow. You obviously need variety when you write, I think the fact that you have recognised this and also don’t waste energy wishing it were different is half the battle won. It seems we all think we should be doing this or doing that but at the end of the day, it is what works for you. I envy the fact that you can work in a coffee shop, I would be far too nosy watching what other folks were doing, I would get nothing done. I don’t even let myself be in view of the window – it has to be exactly the same setting that I’ve seen so often, it bores me – then I will create something else in the writing. So, like you say, just go with the flow. Sorry for all the late comments on your blog. I’m terribly behind, pardon moi? Yes, I do think that if we analyse it down, we are all a bit of both but have dominate traits of either planner or explorer. It’s great to actually set out to do it the opposite way to your dominant tendency and see what arises. Fascinating blog! I am a seat of the pants explorer, I never have a clue where the story is going,often having nothing but a single image or title to begin with. All of my books have been character lead except the High Fantasy spoof, The Unwise Woman of Fuggis Mire. I have no idea where that came from. Thank you. No, I don’t think it’s crazy. It works. Let me tell you when I am reading Cyrus, I am there in the adventure. I get such a sense of being this explorer type of person and ready for action, it’s almost as if I’ve fallen into the book with them. So keep exploring Raven, you’re giving me a great deal of joy.